Rebuild the walls and you provide space to restore the soul. Healthy boundaries protect sacred spaces and times so your relationship with God can flourish. In the first eight chapters of the book of Nehemiah we read of a massive rebuilding effort to restore the walls of the City of Jerusalem back to integrity. Following the sacking of Jerusalem by Babylon (modern day Iraq), the city was utterly devastated and left in ruins. Of greater concern to The Lord than buildings was the state of the people of Israel’s hearts toward Him! They turned their backs on The Lord! Sound familiar? But, following the exile, a period of great repentance, restoration and rebuilding was led by Ezra and Nehemiah. The determination, vision and wisdom of these men took on an impossible challenge. Rebuild the capital city of Jerusalem and restore the people of God. The rebuilt walls of Jerusalem served to provide a protected and sacred space within which the remnant of Judah could be rebuilt as the covenant people of God. The real issue was that the covenant relationship with the LORD was grave disrepair. In Chapter 8, we read how the scribe Ezra assembled the people within the rebuilt walls to hear afresh the reading of the Word of God. The people responded with faith and a teachable spirit. (8:1-8) The people restored the festival of the booths, something which had not been celebrated in Israel since the time of Joshua (8:17). The testimony of the people was to keep covenant and maintain the Temple through faithful worship, offerings and tithes. In our day the “House of our God” is the Church. Let me ask you an evaluative question: in your own life, have you honored or neglected the house of the Lord? The people of God are the New Temple of the Lord. We will not neglect the House of our God! Is covenant restoration needed? Are there areas in your life that need to be torn down and rebuilt to the glory of God? Have you allowed malignant influences access into the sacred spaces of your home and church life causing you to break covenant. Rebuild the healthy boundaries and renew your covenant to the God who has remained steadfast for you. Prayer: Jesus your desire for me is a restored and rebuilt life of covenant faithfulness in you. Make my life a restoration project that brings you glory, honor and praise. King Ahaz was a corrupt and faithless king. He set up altars to false gods in every corner of Jerusalem, and he made unholy alliances with foreign kings. The most dramatic act of his rebellion against the Lord was when he “shut up the doors of the house of the Lord” (2 Chr. 28:24). Have we not inherited a culture that has “shut up the doors” to the worship of the Lord, Jesus? Have we not experienced and even been participants in the “unfaithfulness” and the “filth” of a culture that has set up idols “in every corner”. In our day, just as in Hezekiah’s day, we desperately need leaders with the heart of covenant faithfulness. We need leaders who will make true worship of the one true Lord, Jesus Christ the priority of our common life. We need followers who will be ready themselves to be ministers of the Lord. From the letter it is clear that up to the point of his writing, Paul had not yet personally visited the church in Rome–though he deeply wanted to do so. 22 This is the reason why I have so often been hindered from coming to you. 23 But now, since I no longer have any room for work in these regions, and since I have longed for many years to come to you, 24 I hope to see you in passing as I go to Spain, and to be helped on my journey there by you, once I have enjoyed your company for a while. 25 At present, however, I am going to Jerusalem bringing aid to the saints. 26 For Macedonia and Achaia have been pleased to make some contribution for the poor among the saints at Jerusalem. 27 For they were pleased to do it, and indeed they owe it to them. For if the Gentiles have come to share in their spiritual blessings, they ought also to be of service to them in material blessings. 28 When therefore I have completed this and have delivered to them what has been collected, I will leave for Spain by way of you. 29 I know that when I come to you I will come in the fullness of the blessing of Christ. 30 I appeal to you, brothers, by our Lord Jesus Christ and by the love of the Spirit, to strive together with me in your prayers to God on my behalf, 31 that I may be delivered from the unbelievers in Judea, and that my service for Jerusalem may be acceptable to the saints, 32 so that by God’s will I may come to you with joy and be refreshed in your company. 33 May the God of peace be with you all. Amen. It is long appreciated that Paul’s delay in visiting Rome actually became the occasion for writing a letter which has had a tremendous impact for the Gospel. Had Paul actually gone to Rome accruing to his own plans and timing, the letter to the Romans would not have been written. That is why one commentator calls Paul’s Jerusalem gift, “The Gift that Changed the World”. Sometimes God prevents us from doing what we want to do so that he can accomplish an even greater unexpected purpose through us. From prison in Rome, Paul would write several more influential letters known as the “prison epistles”. Out of all of the Apostle Paul’s writings, the letter to the Romans stands to this day as one of the most influential books in the entire Bible. Many of the greatest church leaders in the history of the Christian church were converted or deeply influenced by the letter. People such as, St. Augustine, Martin Luther, John Wesley all trace their initial conversion and spiritual awakening to verses from the letter to the Romans. Rightly so, the letter is Paul’s most clear and dynamic presentation of the Gospel of Jesus Christ. While a deep theological work, it is also deeply personal. For this reason, it has proved to be life changing in its application for everyone who has undertaken to study it with faith in Jesus and a desire to receive the power available in the great Gospel of God. Romans 1:1 Paul, a servant of Christ Jesus, called to be an apostle, set apart for the gospel of God, 2 which he promised beforehand through his prophets in the holy Scriptures, 3 concerning his Son, who was descended from David according to the flesh 4 and was declared to be the Son of God in power according to the Spirit of holiness by his resurrection from the dead, Jesus Christ our Lord, 5 through whom we have received grace and apostleship to bring about the obedience of faith for the sake of his name among all the nations, 6 including you who are called to belong to Jesus Christ…. May the Gospel of God speak to your heart and mind by Word and Spirit that you might experience the fullness of power of God for salvation through faith in Jesus Christ, The Lord. Amen. As I consider the state of both the Church and the United States of America, I see that there will be no quick fixes or short term solutions to address the besetting challenges. It will take a group of dedicated people who will understand the opportunities for God’s vision and persistently pursue a more faithful, hopeful and free future. The first step is to pray about what that desired future might look like. 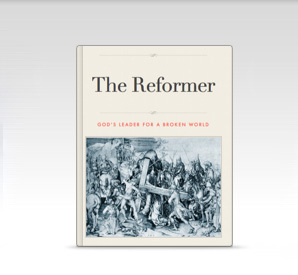 Does the Lord desire the reformation and renewal of the Church and the nation? Perhaps….let us pray so. God’s ways are not our ways, His thoughts are not our thoughts. Many in Jesus’ time thought that they had rightly diagnosed the problems of their day, and in doing so their solutions were not God’s solution. God’s way is one of costly sacrifice–Jesus Christ and him crucified. The critical next step becomes making sure that we are on the side of Jesus Christ in addressing the Goliath challenges that face us in our day. When we join the Lord in his battle, then we tap into the power promised in Acts 1 to be poured out on the Church at Pentecost (see Acts 2). 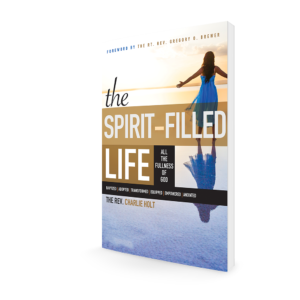 What do we need to be doing now to move forward toward God’s desired future? Taking inventory of my life…I have 29 more years until I hit mandatory retirement as a priest. If the Lord wills, I am willing to faithfully labor for Him in whatever ministry context he places me–to do whatever needs to be done for the long term future of His kingdom. Some have more time, some have less time. No one of us truly knows the number of our days. The key for all of us is that we make the most of our days now, for the sake of not only the salvation of our souls, but for the sake of our children and grandchildren. May those of us who serve Jesus through the ministry of the Church and on behalf of the vision of freedom, work together intentionally for the long haul–“a long obedience in the same direction” (Eugene Peterson). The range of our missionary field is multi-generational and not “my-generational”. Our understanding should discern both the nature of the root challenge and the mighty strength of God for those who believe. As Jesus promised in Acts 1, “You shall receive power when the Holy Spirit comes upon you to be my witnesses in Jerusalem, Judea, Samaria and to the ends of the Earth.” Jesus will use us to the praise his name. As you contemplate the Declaration of Independence, what do you see is necessary for freedom to reign under God in this great nation? Leave your comments, thoughts and feelings here. And see all the People! The childhood rhyme is Biblically incorrect! While we often call the physical building and place of worship for the people of God, a Church, that is a misnomer. I go so far to call it a little lie. Little lies like this have been taught to us as children, and they have done great damage. Subtly and powerfully, they shape our vocabulary and thus our thinking and values as the people of God. The Church is NOT a physical building with a steeple and doors. Yet, we persist in using the word with that reference and meaning. The institutional church itself has reinforced the vocabulary. A couple of years ago, the Bishop corrected me when I referred to St. Peter’s worship space as “the Sanctuary”. He said, “Properly, the sanctuary is the space behind the altar rails and building should be referred to as ‘the church’.” From a technical architectural vocabulary perspective, he was not wrong. The reforming instinct in me cannot accept his correction. I have worked hard to never refer to a physical building as “The Church” because of the misaligned priorities on buildings, programs and institutions. In the New Testament parlance, the Church is the gathered worshiping People of God. Rather than the building, the Church would be what you see when you open the doors and look inside the physical building. Monday through Saturday, the Church has left the building! Without the resurrected People of God gathered, the building stands vacant like an empty tomb! As the angel who told the women looking for Jesus inside the rock-hewn tomb, “Why do you look for the living among the dead? He is not here, he is risen!” Yes, there are many beautiful “church” buildings built around the world, with wonderful architectural features and gorgeous stain glass windows. They are built to the Glory of God! However, without a vibrant Holy Spirit filled, worshiping body of Christ, they are empty albeit beautiful sepulchers. Whenever the New Testament uses the term “church”, it is always referring to the redeemed and holy people of God. It does describe church in terms of building and structure but always as a building made with living stones on the divinely appointed cornerstone. The church building is alive! Biblically, we should not say we go to church as so many of us are apt to say, but rather we should say we are the church! The church is a community of people whose lives are completely centered on Jesus, living stones built into the precious cornerstone. So does that mean that we should not build physical buildings for the church? Not at all! Yet, the institutional tools and structures that we have created with human hands out of wood, metal, bricks and mortar are merely tools and institutional supports for the spiritual living Church, the body of Christ. This is an incredibly important distinction for us. Why? Our primary focus is properly on the living organic Temple of the Lord. 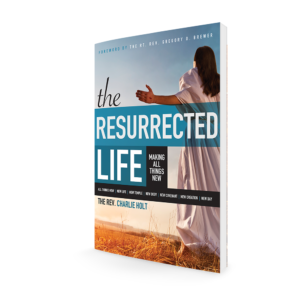 The resurrected life is centered on the Person of Jesus Christ and the community and people that have been incorporated into the New Temple that is his Body. As in times of the Old Testament, the People of God find themselves serving worldly physical and institutional structures, rather than the physical and institutional structures supporting the people of God. This was the corruption of the political, religious and economic systems which Jesus confronted in his day when he overturned the tables of the money changers in the old Temple. Question for thought and discussion: Do you agree that the people of this world place more value on worldly structures and institutions than people? Do you see this happening even with the Church? How do we get back to the right emphases? Express your thoughts and comments here!